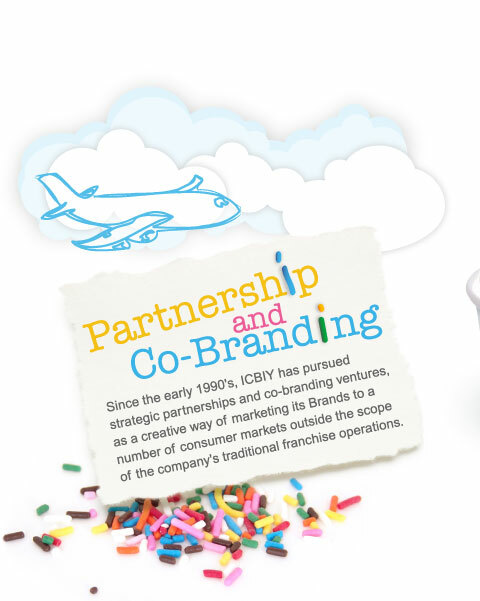 Since the early 1990's, ICBIY has pursued strategic partnerships and co-branding ventures, as a creative way of marketing its Brands to a number of consumer markets outside the scope of the company's traditional franchise operations. The growing demand for ICBIY is creating new opportunities to sell them outside of our traditional locations. ICBIY can increase your existing food sales, with a great tasting, low calorie nutritious snack while also providing a profit margin that will no doubt be tasty to you as well. Much of ICBIY's growth has come in the form of what we call "non-traditional outlets" or a "brand within a brand". You are the primary brand but its appeal is enhanced by our Brand, which compliments your sales efforts. Customers wanting a treat, a snack or a dessert will come to your location to purchase one. The dessert item(s) can fit into any kind of diet and the concept is simple to operate. Some of the exciting new potential venues that we are currently in include universities, colleges, supermarkets, hotels, airports, stadiums and host stores. These types of locations will continue to be a significant opportunity for growth in the future. Non-traditional growth with other companies remains among the strongest areas of expansion for ICBIY. Frozen yogurt and smoothies are complimentary to many restaurant operations, and the compact space they require allows the product to be easily inserted into such venues as convenience stores, gas stations, hospitals and university settings, permitting sales increases with minimal increased expenses. Because frozen dessert is an excellent snack or component with other menu items, it is flexible and a treat that may be offered at many different times of the day. Co-branding with leading companies has also effectively expanded the reach of our franchise products to millions of potential new customers. ICBIY has made great strides in linking up with some of the finest names in foodservice. Our 'partnerships and alliances have significantly added to the expansion of the ICBIY franchise, creating new points of sale for our products in North America and overseas markets. For us, co-branding also means combining our own brands within one location - and being able to offer different combinations to our joint venture partners. We have the range of products and can be the preferred supplier to anyone wishing to add frozen yogurt or ice cream to their merchandising mix. ICBIY's Master Franchiser in Amsterdam signed an agreement with KLM Dutch Airlines. As a result, our I Can't Believe It's Yogurt frozen dessert was the first frozen yogurt served on airlines as a complimentary dessert on all KLM flights along its European and Intercontinental routes. This kind of partnership provides exciting new possibilities for our Brands to reach a whole new consumer market and thousands of potential new customers every day. ICBIY signed an agreement with Tricon Global Restaurants (Canada) Inc. to place I Can't Believe It's Yogurt on the menu of its 250 Pizza Hut restaurants across Canada. 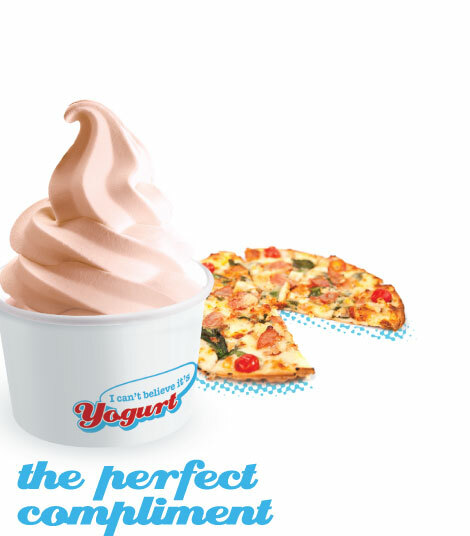 I Can't Believe It's Yogurt is served as the centerpiece of a widely publicized launch of Pizza Hut's dessert bar. This initiative generated significant revenue for the Company, substantially increased the exposure of our ICBIY Brand, and enhanced our leadership position.